Collected by Yoshiyuki Mizuno (1924-2004) who regretted the decline of farm village culture. The collection contains several thousand items, mainly Mingu (handmade tools used by the common people, mostly made of natural materials) and folk crafts. 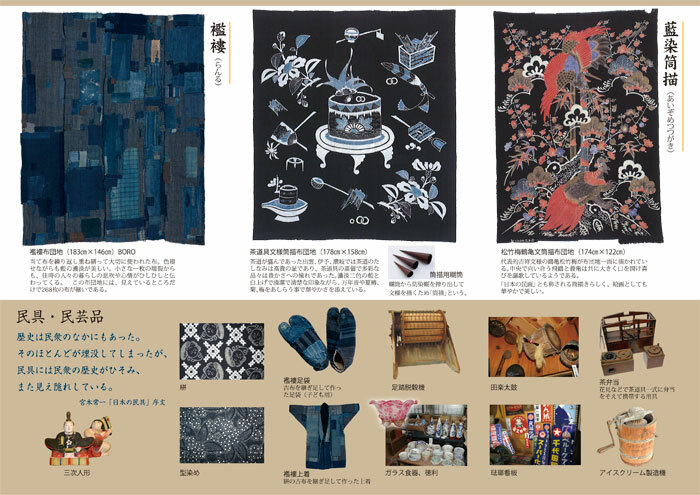 In particular he collected passionately old cloths of indigo dyes. He must have witnessed many lives through these cloths that tell stories of weavers, dyers and the people who used them. Housuido is the name of our ancestor who was a dyer about 100 years ago when people had a closer relationship with nature. Every article in this collection was once used in everyday life. The spirit of our ancestors can help us solve the problems of modern society. 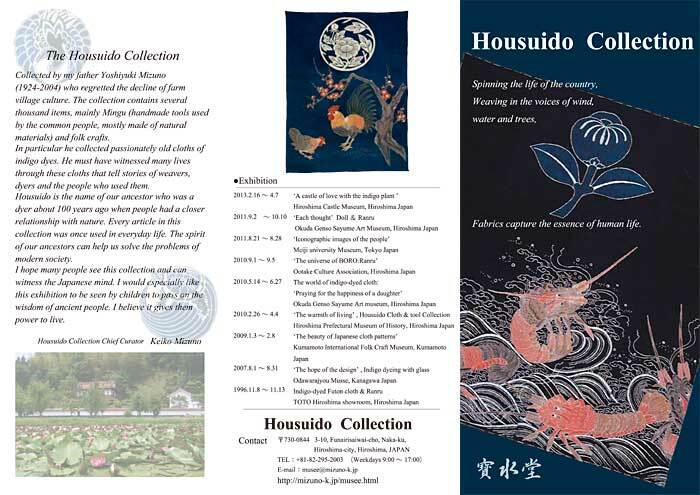 We hope many people see this collection and can witness the Japanese mind. 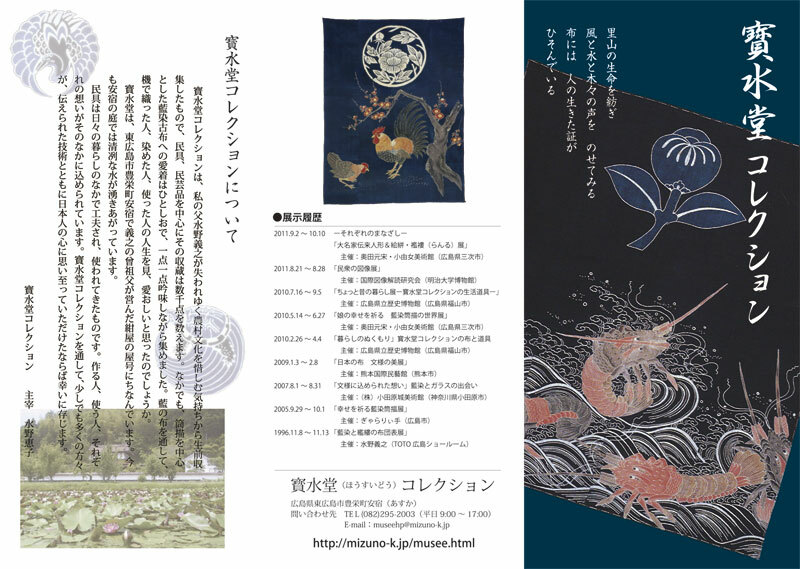 We would especially like this exhibition to be seen by children to pass on the wisdom of ancient people. I believe it gives them power to live.